Winter has returned for its last hurrah this week, bestowing cold gales, hail and sleet upon us poor gardeners. 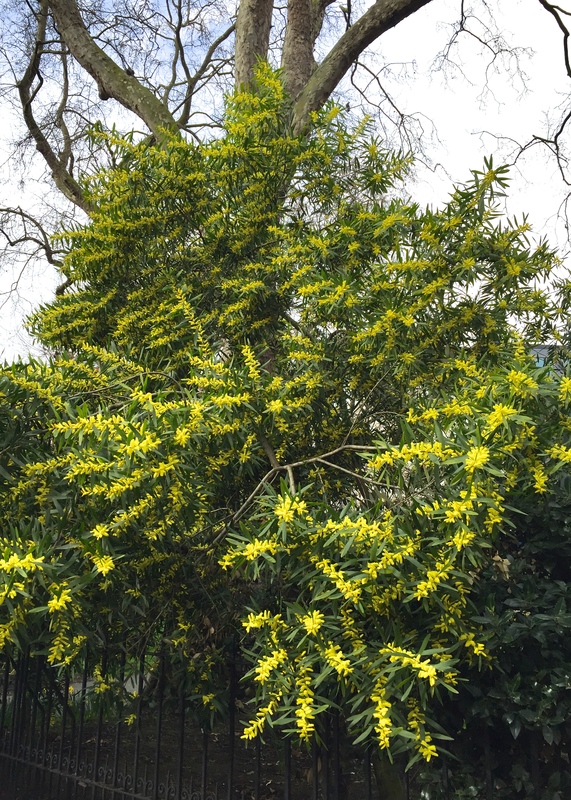 As I set off across London’s Hanover Square yesterday, umbrella clenched in hand, I spotted, between the spokes, a handsome, informal-looking small tree smothered in bright yellow flowers, tossed by the wind. Having persuaded a colleague to dodge a stream of black cabs in order to admire the tree up close, I was mildly bemused. It appeared to be a mimosa, with willow-like tendencies. Rather than get us any wetter I took photographs before going in search of shelter and a positive identification. Back at home I consulted volume 1 of The Botanical Gardener by Roger Phillips and Martyn Rix. Turning directly to the double page spread devoted to the genus Acacia, there it was, in glorious Technicolor, Acacia longifolia, the golden wattle. My conundrum was solved more quickly than I could have crossed Regent Street. Acacia longifolia is a fast-growing bushy shrub or small tree about twenty feet tall and just as wide. It hails from South Eastern Australia, where it’s probably considered about as exciting and unusual as hawthorn or elder in England. 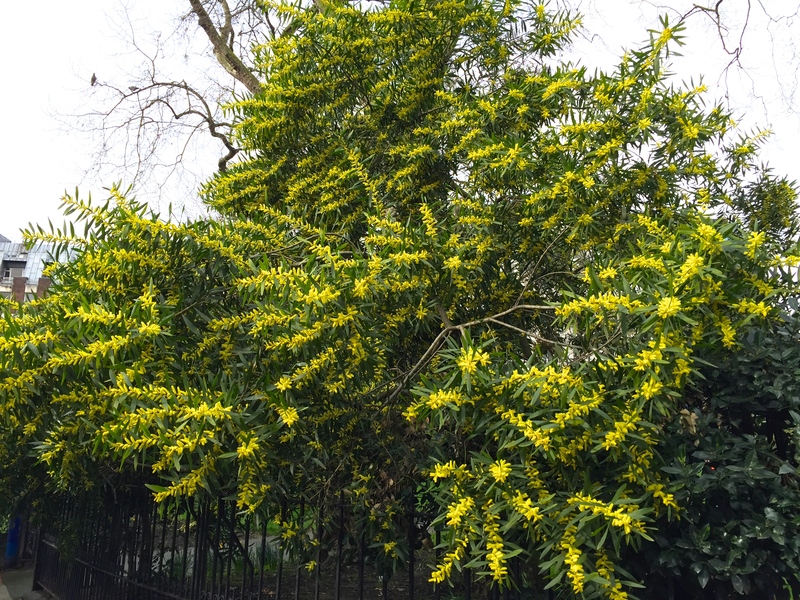 Long, light-green leaves line branches smothered in fragrant, golden-yellow flowers at the end of winter. Acacia longifolia is salt tolerant, making it useful for seaside conditions. It is frost and drought resistant; hardy to about -5ºC, and presumably good with pollution too. The plant was originally collected by Joseph Banks, the botanist on Captain James Cook’s exploration of Australia in 1770. It was offered by nurseries in England as early as 1788. Acacia longifolia ought to be perfectly suited to our seaside garden, although it’s a little large for the spaces I have left to plant. The leaves and flowers do not possess the feathery prettiness of Acacia dealbata, but are much more elegant and architectural. 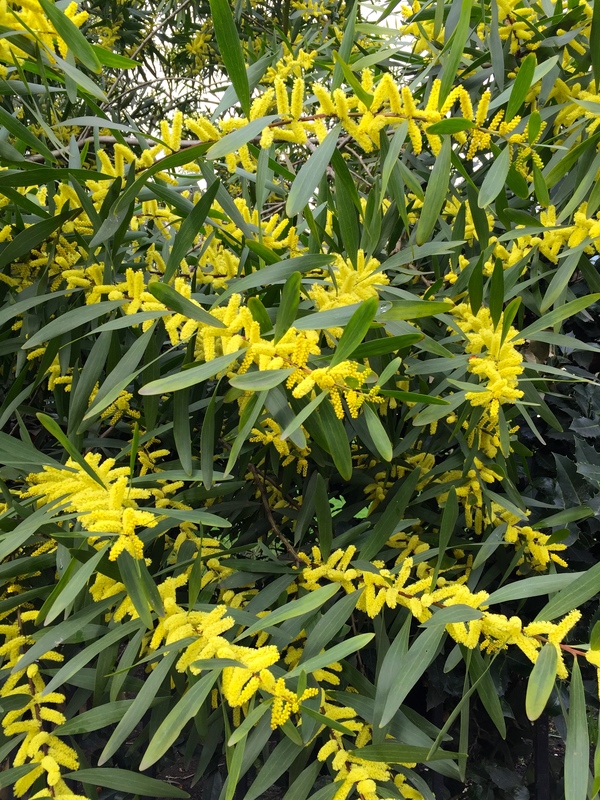 If and when I decide to scrap our greenhouse to open out the garden, Acacia longifolia could make a magnificent specimen for the sheltered space that this would create. Alas, I can find no UK nurseries offering plants, but seeds could another option. Either way, the golden wattle strikes me as an ideal tree for our ever warmer, more turbulent climate and one that would give a colourful, contemporary edge to small suburban and city gardens. 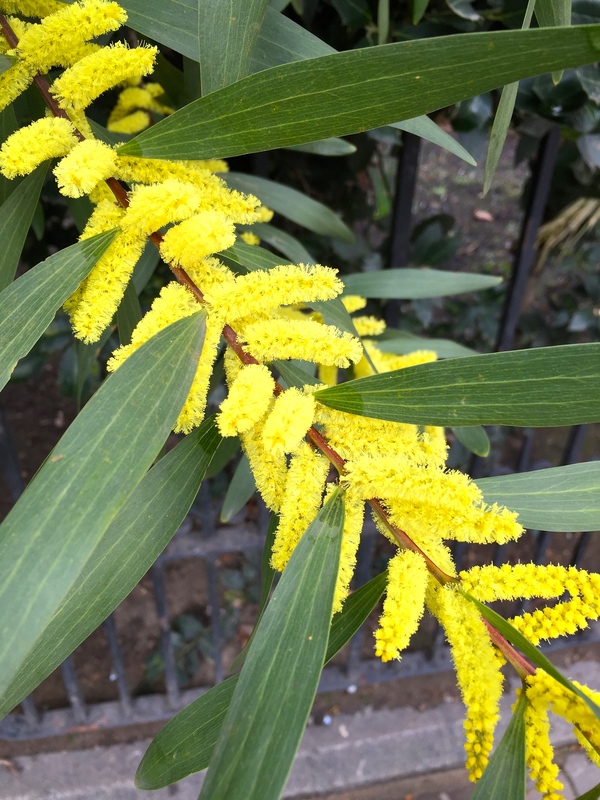 If you’re one of my beloved Antipodean followers, please do leave a comment to let us Northern Hemisphere folk know about your experiences of the golden wattle. I am in New Zealand, I do not know longifolia but here A.Baileyana is extremely popular due to its early flowering and spectacular yellow colour in August every year. In recent years acacia cognate “Limelight’ a dwarf growing plant is use a lot in new planting down here. 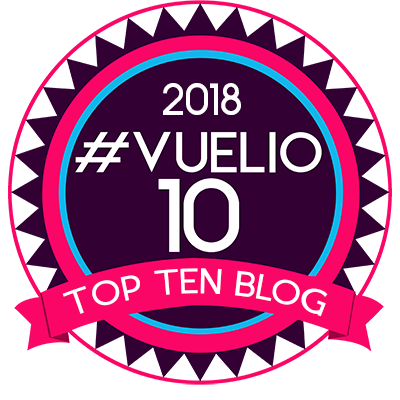 Thanks for the interesting blog. Acacia longifolia is one of the phyllode wattles, where the ‘leaf’ adaptation is actually a flattened petiole (leaf stem), with the true feathery leaves absent. Its a good adaptation to cope with drought and heat as there are fewer stomate openings on the phyllode to lose precious water. It’s fascinating to see one germinating from seed as the first seed leaves and next pair are feathery and then the next two half-half until it finally goes to its phyllode form. In Sydney, the flowering of the Sydney golden wattle heralds the first ‘bush spring’ when the sandstone flora flower in late July-August. New arrivals to the early NSW colony could supposedly smell the sweet-spicy fragrance of the various flowers quite far out to sea. I am really pleased to inform you that we have a spectacular shrub/tree in flower in Sheffield Botanical Gardens. (not so cold ‘up north!!). Planted 4 years ago in the Mediterranean climate garden it is in flower for the first time. We have been very fortunate that we have not had a really bad winter since 2010! So exciting to see such a variety of plants one would not normally expect to see in Yorkshire. That is exciting. I love Sheffield Botanic Gardens. Seeing how plants like Acacia longifolia can succeed further north must be both encouraging and inspiring. It’s all about microclimate, and a kindly one can be created almost anywhere with careful planning.